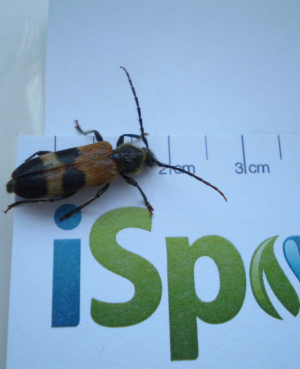 Observation - Unidentified longhorn beetle - UK and Ireland. Description: Observer reports that upon unpacking a delivery of new furniture, this beetle was discovered. Observer reports that upon unpacking a delivery of new furniture, this beetle was discovered.